When people hear the word “airport” in Berlin, you can be sure to start off a heated debate about the Berlin Brandenburg Airport (BER). The construction site and soon-to-be airport is everybody’s favorite showcase of poor construction planning and corruption scandals. The airport was supposed to be opened in 2010 – that is 5 years ago and so far, the completion is nowhere near. But enough about the future airport of Berlin. Let’s jump back in time and have a look at an airport from the city’s past. Let’s talk about the Tempelhof Airport. The first version of the airport was planned and built during the 1920s. But even before the entire building complex, which was consisting of several halls, was completed, people noticed that it was going to be too small to host the high number of flights of one of the busiest airports in Europe. It seems as if poor planning skills regarding airports are not a new phenomenon in this city. During the 1930s, the new airfield and the airport building as we know today were planned and built. Yes, the building which is a listed monument today was designed and constructed under the Nazi regime and even if you are not familiar with architectural styles and distinctions of that era it already becomes evident by looking at it. It is massive, imposing and very monumental. During the war, the operations at Tempelhof were almost completely suspended. And in the late 1940s, after the war ended, the airport literally saved the lives of over 2 million West Berlin citizens. You wonder how? To tell the whole story of post-war Germany and Berlin would go way beyond the scope of this post, but here is the super short version: the winning forces composed by France, United Kingdom, the United States and the Soviet Union divided the country as well as the Berlin into four occupation zones. Berlin, divided into four zones, was a tiny island in the vast Soviet zone. In 1948/49 the Soviet forces blocked all streets, waterways and railways from West Germany to West Berlin, making it impossible provide the capital with food, coal and other vital necessities. To save the West Berliners, the three Western zones came up with the Luftbrücke – the Berlin Airbridge – bringing goods through the air by plane. And those planes used to land at Tempelhof Airport. On the entrance of the former airport building you can find a memorial remembering the Berlin Airbridge. 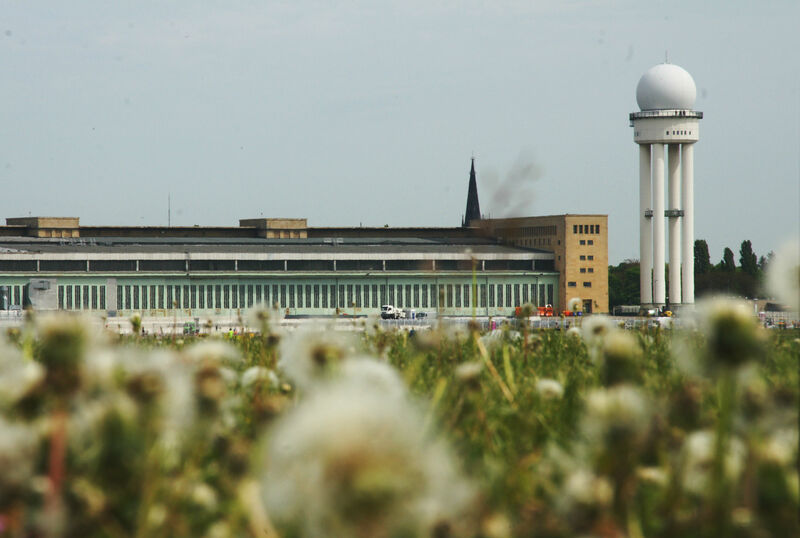 In 2008, after 85 years of air traffic, Tempelhof Airport was closed down for good. And after all this date dropping, remember that we spoke about 2010? The year in which the BER Airport was supposed to be opened? Well, we all know that did not happen, but still another opening happened: the one of Tempelhof Field. The field is now a giant and beautiful open space on the former airstrip. People come here to have picnics, for sports, to watch the sunrise and to escape the city. Today the Tempelhof Field is a magical oasis in the middle of busy Berlin. If you consider how meaningful this place has been throughout history, it’s even more exciting to explore it. Previous Episode 02: What is the East Side Gallery?